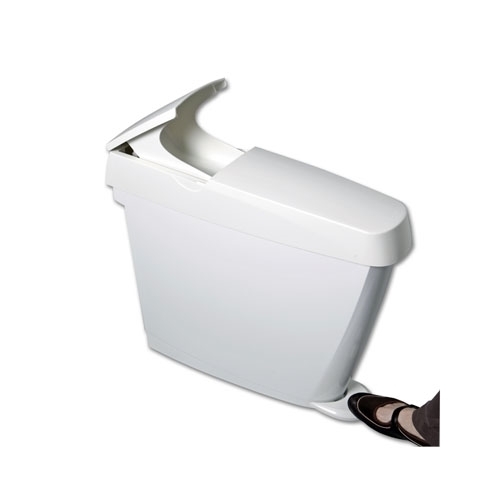 The 15 Ltr Sanitary bin is the discreet feminine hygiene solution for washrooms. The 15 Ltr Sanitary bin is an easy to operate, easy to service bin, which will fit discreetly into the smallest of washroom environments. The bin is pedal operated to offer improved washroom hygiene and has a robust ABS construction.